2016 Top 40 Under 40 | Cover Story | Style Weekly - Richmond, VA local news, arts, and events. The young men and women who rally for change, serve others and bring the Richmond community together. 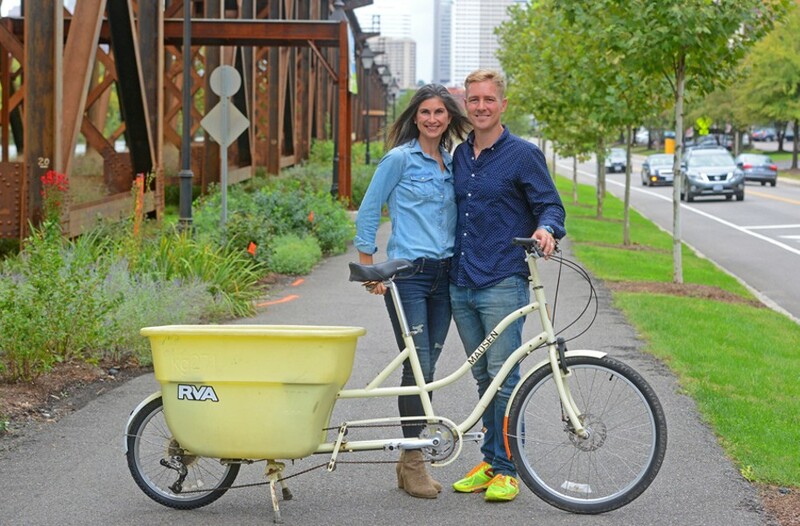 Scott Elmquist Andrea Gleason, the designer and founder of Helena Noelle, and her husband, Patton Gleason, the president of Thrivident, moved to Richmond 15 years ago and never looked back. In the early days of Richmond’s Top 40 Under 40, someone asked, “Won’t you eventually run out of people?” After all, this city’s aspirations may be big, but part of its charm is that it can feel like a small town. But steadily they marched through — suggestions, nominations, impassioned letters of referral. We’ve been introduced to thousands of young professionals worthy of recognition for building successful careers while finding ways to forge change. And still, they are only a sampling. Their stories have inspired, illustrating creativity, innovation, enthusiasm, hard work and the desire to look around where the region most needed them. The Top 40 Under 40 debuted in Style’s former sister publication, Inside Business, nearly 20 years ago. Style picked up the mantel in 2003. So this year’s edition marks the 19th issue, bringing the total of recipients to 760. You find them scattered throughout the region and beyond in positions of leadership, service and community focus. They continue to build companies, guide young minds, rally for change and bring a creative spirit to Richmond. Roast Master and Co-Owner, Lamplighter Roasting Co.
Coffee Director and Co-owner, Lamplighter Roasting Co. Chef and Co-Owner, Lamplighter Roasting Co.
Director of Special Events and Community Relations, Brown Distributing Co.
What: Join us for a networking reception and ceremony honoring the recipients. When: Tuesday, Oct. 25, from 6-8:30 p.m.
To Go: For information and to purchase tickets, at $35 per person, please visit styleweekly.com/top40.